The circular dated August 29 said that effective from the academic year 2018-2019, the portion is being struck out of the syllabus. SPPU officials said the chapter was included in 2013. 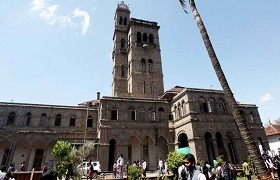 The Savitribai Phule Pune University (SPPU) has issued a circular asking all principals of its affiliated colleges to take note that the chapter on developer D S Kulkarni in the third-year BCom course should no longer be taught. For third-year BCom (regular as well as external) students, in Business Entrepreneurship, Special Paper-III, there is a subject, Business Entrepreneurship, Course Code 306-g, in which Unit 3 has a section titled “The Study of Autobiographies of Following Entrepreneurs” under which DS Kulkarni’s case study is enlisted. The circular dated August 29 said that effective from the academic year 2018-2019, the portion is being struck out of the syllabus. SPPU officials said the chapter was included in 2013. But following the developer’s arrest and pending trial over financial irregularities, it has now been decided that the chapter would be discontinued. The issue of such a chapter being taught to students, despite pending charges of fraud against DSK, had been raised by several political party representatives, who had demanded that it be discontinued.